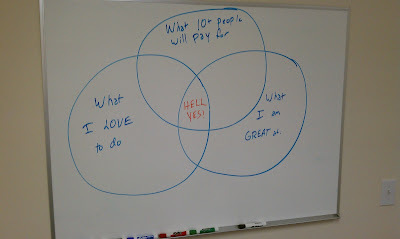 My pal Andy Swan is brilliant when it comes to making things simple. Just look at his bio on AndySwan.com: "I've started and sold two companies. I have investments in some others. I love helping passionate people create wealth." You'll recall Andy was the mastermind behind the Six Slide Challenge to entrepreneurs last summer. And the Elite Eight for Entrepreneurship. 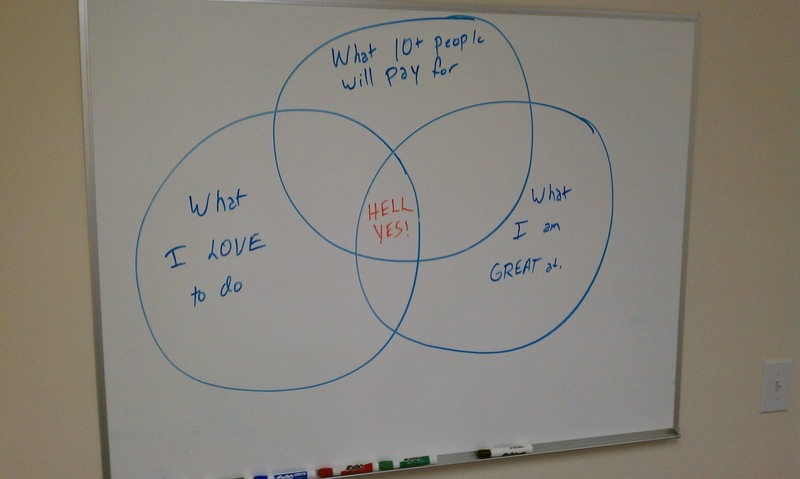 His latest, posted yesterday, is a Venn diagram for Finding Your Niche. Love it.